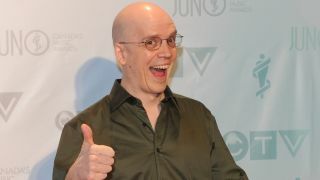 Devin Townsend has been honoured in his Canadian homeland with the Metal/Hard Music Album Of The Year at the 2015 Juno Awards. His 2014 double album Z2 took top prize in the category ahead of nominees Kataklysm, Shooting Guns, Single Mothers and Skull Fist at the ceremony in Ontario last night. Rush were also honoured at the gala night, receiving the Allan Waters Humanitarian Juno for “outstanding Canadian artists whose contributions have positively enhanced the social fabric of Canada.” Frontman Geddy Lee, who attended alone while his bandmates prepare for what could be their final tour, accepted the award. Townsend will play five UK shows in the next month – including an April 13 appearance at London’s Royal Albert Hall where he’ll perform Z2 in full, followed by a second set made up of fan requests.